Parents face unique estate planning issues. When children are young, most parents are concerned about making sure their children will be properly cared for after the loss of a parent. When children are older, parents may struggle with how to divide property fairly among all children or how to ensure a child does not spend through an inheritance too quickly. 1. For a general overview of estate planning for parents, review Planning Your Estate When You Have Children. 2. If you have minor children, make sure you have taken steps to arrange for a guardian by executing the necessary estate planning documents. You may also want to write a letter to the guardian using our Sample Form Letter to Guardian. 3. If your children only have you to rely on, estate planning should be an even higher priority. Single parents face unique estate planning issues. Read our free guide on Estate Planning for Single Parents. 4. When children from a prior relationship are involved, estate planning decisions can put strain on a relationship. This is one of the most complex areas of wills and trusts, made more complicated because stepchildren may have unresolved issues with a stepparent. For helpful tips, go to Estate Planning for Stepparents. 5. Whether you want to inspire your child to learn about investing or want to make a gift of stock as part of a tax strategy, you may want to transfer stock to your children at some point in your life. For details on how to make this type of gift, read Making a Gift of Stock to Children. 6. If you are concerned your child will not understand how you decided to distribute your estate, you may want to write an estate planning letter explaining your decisions. You may also want to write this type of letter if there are things you want to say to your children after you are gone. See Writing an Estate Plan Letter to Your Children. 7. Many heirs receive their inheritance in a single lump sum. Unfortunately, this type of inheritance is often spent quickly and therefore fails to provide the financial security it could have provided. For steps you can take to avoid this type of mistake in your estate plan, see Will Your Adult Children Squander a Lump Sum Inheritance. 8. If you do not want to leave an inheritance to one or more of your heirs, read How to Disinherit a Child. 1. 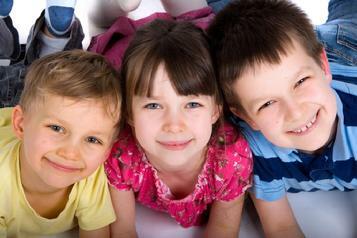 Name a guardian for your children by making a will and writing a guardianship letter. See How to Write a Guardianship Letter. 2. Purchase a sufficient amount of life insurance and have an attorney advise you how to name beneficiaries in a way that ensures the proceeds will be used to care for your children. 3. If you have children from a prior relationship, adopted children, stepchildren or any child you want to inherit from your estate, take the necessary steps to provide for such child in a will or estate planning trust. For a list of trusts to consider, see estate planning trusts. 4. Prepare for incapacity by making a financial power of attorney so someone you trust can handle financial matters for your children if you are injured or become ill. Steps like these are outlined in How You Can Protect Your Family. 5. If there are special financial considerations regarding any of your children, find out whether you should use a trust to provide for your child's medical, educational or financial needs. See our article on Estate Planning for Parents of a Financially Dependent Adult Child. Although the list of things you need to do to make an estate plan that will protect your children is fairly long, you can begin with these five steps. Browse our free estate planning guide on the left side of this page to get started. Your child's relationship with you may be the most important one of their entire life. You cannot control how much time you will have to be with them, but you can control what you leave behind for your children. Making an estate plan is not only about inheritances or life insurance. It is also about memories you leave your children, family mementos passed down from generation to generation, and words you say to them in final estate plan letters. Whether you are leaving your children a large inheritance or have decided to leave your estate to other beneficiaries, you may be struggling with how to communicate your estate planning decisions to your children, grandchildren or other heirs. For tips on how to handle this conversation, see Talking to Heirs About Inheritance. The Pennyborn.com Parent's Estate Planning Guide was updated on May 16, 2017.